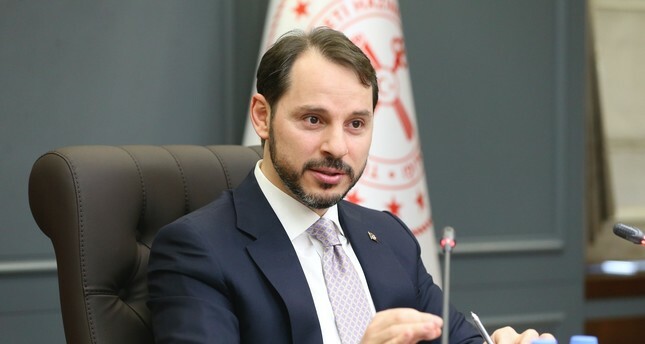 Treasury and Finance Minister Berat Albayrak announced Sunday that the government will implement a comprehensive program to boost agricultural productivity and stability in food prices. Evaluating state lender Ziraat Bank's Treasury-backed loan package, which was announced Friday, Minister Albayrak said it will reinforce Turkey's greenhouse infrastructure and increase productivity. Under the new package, investors may take loans of up to 75 percent of the investment expenditures on establishing new greenhouses. The investment loans will have a maturity period of up to seven years with an 8.25 percent interest rate. The payments will be arranged in accordance with the revenues and revenue collection period. The loans to be provided by Ziraat Bank will require low-interest rates and the Treasury will subsidize a portion of the interest rate payments, applicable to investments up to TL 10 million. The bank's new initiative comes with the government's efforts to stabilize food prices, which peaked particularly after a series of natural disasters hit the Mediterranean province of Antalya, where Turkey's greenhouse agriculture and investments are largely focused. The increasing food prices also negatively affected January inflation figures. Turkey's annual inflation went up 0.05 percentage points from 20.3 percent in December 2018 to 20.35 percent this January. Food inflation alone was recorded at over 30 percent. Treasury and Finance Minister Berat Albayrak said Thursday that if food prices remained unchanged from December 2018 to January 2019, the inflation would have been at minus 0.43 percent and the annual inflation would have been around 18.85 percent. Meanwhile, as the initial step to regulate prices Ankara Metropolitan Municipality established sales points for foodstuffs. The sales points in different districts of the capital city will offer consumers products bought directly from producers. At least 30 sales points are in the plans. They will sell vegetables and fruits with affordable price tags, which have recently become expensive due to seasonal conditions.